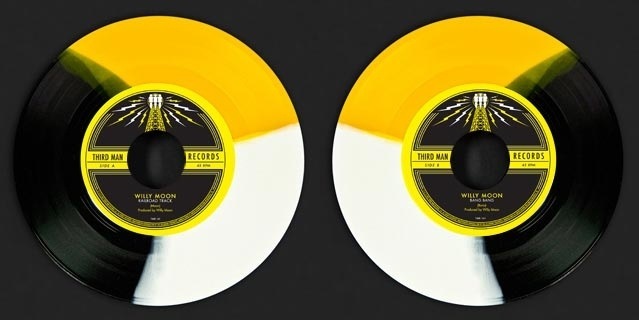 Willy Moon released Railroad Track on 7″ at Third Man Records recently. His recent tour brought him to the UK along with just 100 Tri-Colour 7″ singles that were only available for one day on a first come first served basis at Rough Trade Records East in London. Although I missed the event, I still managed to find a brand new one as pictured below. Stick at it Sean 🙂 took me a while but it’s great to finally own a scarce TMR Tri-colour.